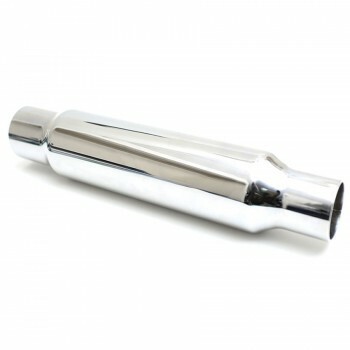 Universal DD Trunk Stainless Steel muffler will be sure to make your bike stand out! 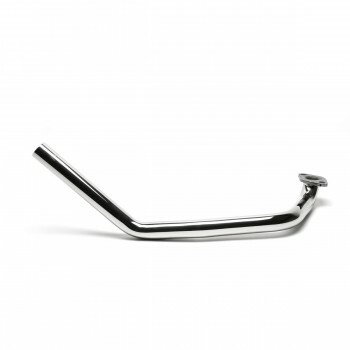 Full brushed finish, slick curvature, and appealing for motorcycles, choppers, bobbers, scooters, Ruckus, Grom, and more! 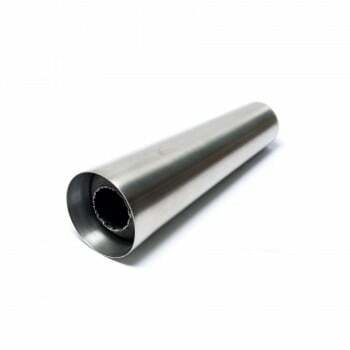 This is a builder muffler, you can weld the muffler tabs to any position or placement that will fit your application! The DD Trunk muffler has a very nice brush stainless finish! 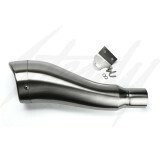 This gives the muffler an aggressive look, inspired by Moto GP race bikes! Custom fit this to your desired header and have your own unique exhaust system! Will handle any engine from 80cc to 200+cc! 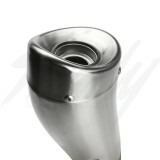 - Built in two hole mounting area that allows you to bolt anything M6 to (muffler hanger, etc). This product is legal for closed-course compeition use only; for racing vehicles (a compeition vehicle not used on public highways). 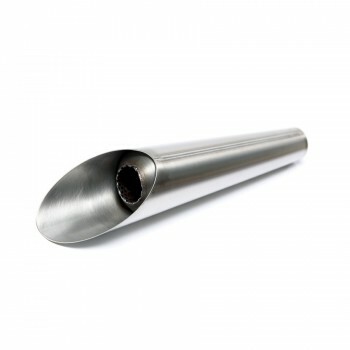 Intended for off-road use or race purposes; may not meet regulations of pollution controlled roads or highways.